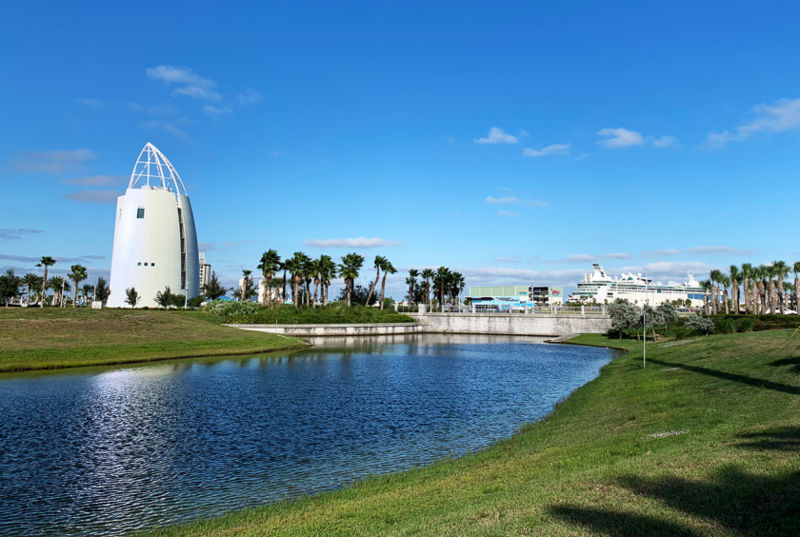 If you’re planning to fly in for your cruise departing from Port Canaveral, there are a few tips that will make your trip seamless from start to finish. Flying into Orlando International Airport is by far the most popular and convenient option, however, it’s still about 45-miles away from Port Canaveral. 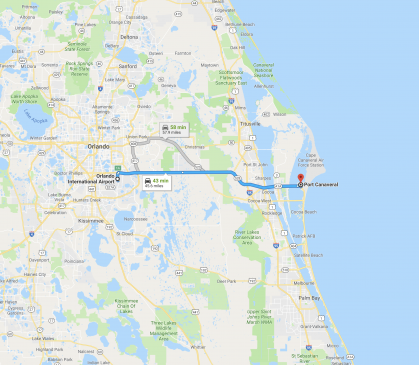 So what’s the best way to plan for this long trip from the airport to your ship? Below we’ve included essential tips on when to fly in, where to stay and how to avoid unexpected costs, giving you more to spend onboard your cruise. Any experienced cruiser will advise you to arrive a day early. Flight delays are extremely common and have caused countless passengers to miss their cruise. The risk of flying in on embarkation day is just not worth the hassle. By arriving a day early, you’ll give yourself some extra time in case any unforeseen travel delays should occur. 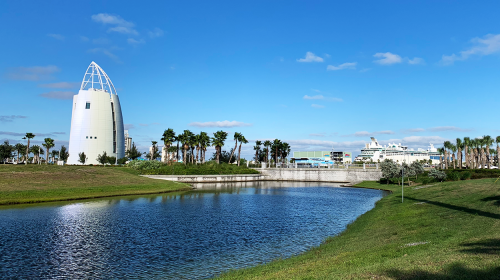 Despite what many people think, staying near the Port when you’re cruising out of Port Canaveral may not always be your best option. 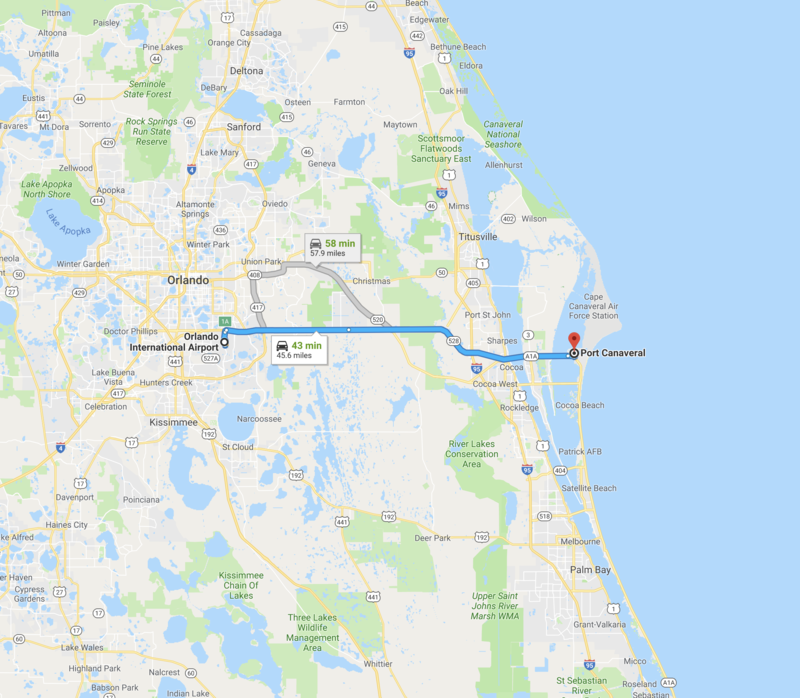 With the considerable distance between Orlando International Airport and Port Canaveral, if you’re flying in early, you’ll have plenty of time to make the journey and explore all that the Space Coast has to offer. If you’re arriving later in the afternoon or at night, adding another trek to the coast isn’t really ideal after you’ve just spent hours on a flight. Plus, by the time you get over to the Beach, there won’t be much to do. The best place to stay for late arrivals is actually right by the Airport. 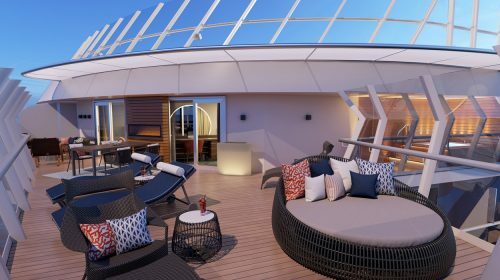 You’ll be able to hang out by the pool or relax in your room just minutes after you land. There are also tons of local restaurants nearby that are open late. 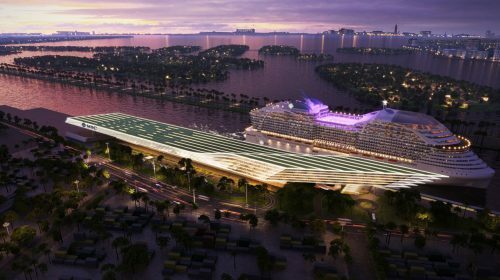 A majority of cruisers don’t realize how far the airport is from Port Canaveral and aren’t aware of the costs involved with setting up transportation. When flying in, you’ll need a ride to and from the airport and your cruise terminal. And if you’re arriving a day early, you’ll also need to get to your hotel. You may find Cruise Hotel Packages online that advertise “transportation included”. However, a majority of these seemingly all-inclusive packages will only arrange a one-way transfer from your hotel to your cruise ship— leaving you on your own to figure out how to get to and from the airport. On top of that, the attractive advertised prices are usually based on double occupancy, so you’ll have to pay an additional fee for any extra passengers. When you’re looking at packages that claim to include transportation, make sure everyone in your party has a round-trip ride between your ship, hotel, and airport. Rushing to make your flight home is no way to end your relaxing vacation. Remember, it’s a 45-mile ride back to the airport and on top of that, debarkation delays can occur. You’ll want to book your return flight in the afternoon to ensure you have plenty of time to get off your ship and back to the airport in time for your flight. 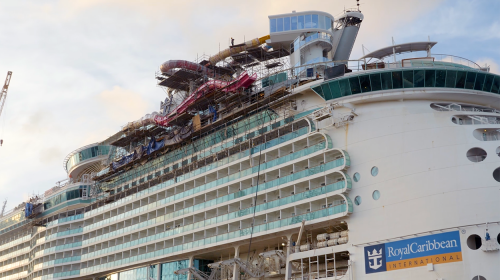 To make your exit off the ship even easier, you’ll also want to self-disembark. This process is quicker than standard debarkation and requires you to carry your own luggage off the ship. To make this process smoother, make sure that your bags are packed, your onboard account is settled and you’ve requested self-disembark with guest services on the last night of your cruise. 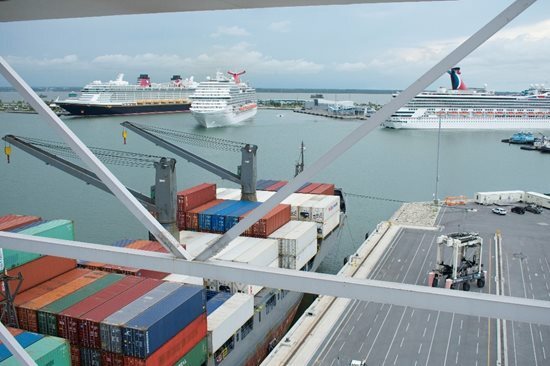 This expedited early process will allow you to breeze past any long check-out and customs lines and hop on an early shuttle, avoiding any post-cruise port traffic. 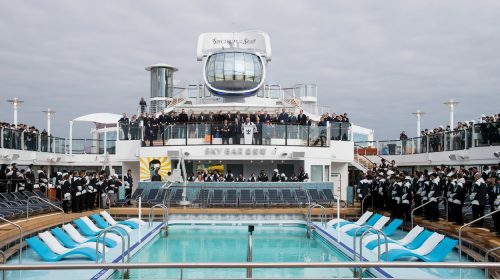 Keep in mind that you may encounter hundreds of local passengers looking to walk off the ship with you, so plan ahead with an early onboard breakfast time and listen to announcements for the correct gangway location. When searching for a Cruise Hotel Package you’ll want to keep a close eye on the fine print. Many times you’ll find that these advertised deals don’t actually include everything you need. You’ll end up paying additional fees or even be on your own to figure out parts that aren’t offered. So how do you find a Cruise Hotel Package that includes all the services you need, at the best price, with no hidden charges? 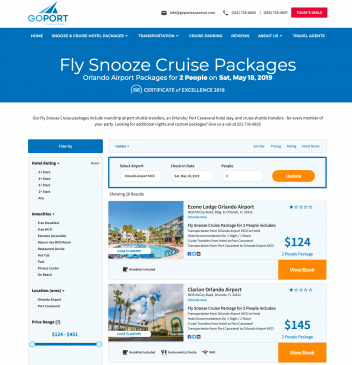 Go Port Canaveral offers “Fly Snooze Cruise” packages designed just for travelers flying in for their cruise. These packages are easy to book and include everything from a hotel stay to airport transportation and cruise ship transfers for everyone in your party. 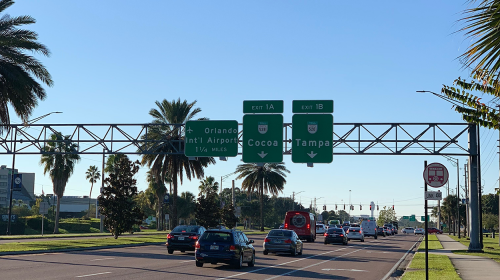 You can choose from over 30 hotels near the Orlando Airport and Port Canaveral area, representing major brands you know. You’ll also be able to select the one that matches your needs best with inclusions like free breakfast, onsite restaurants, pools and more. Best of all, you’ll get to the port on time for your cruise. Select packages even offer an “early to cruise” option meaning you’ll be among some of the first to get on the ship. The 4-star rated cruise ship transfer service features shared shuttles that will drop you off right at your Carnival, Disney, Royal Caribbean, or Norwegian cruise ship terminal. 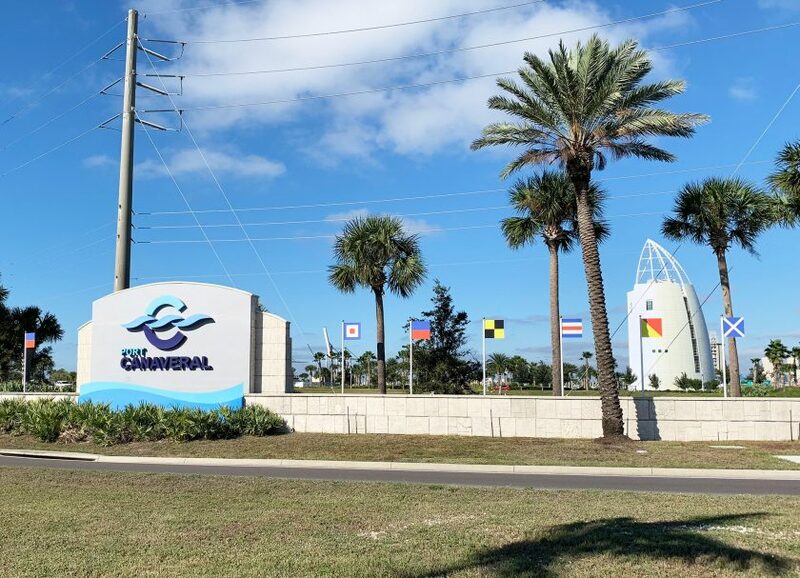 When it’s time to go home, Go Port Canaveral also gives you the peace of mind that you’ll make your flight with timely shuttle service back to the Airport.